April has been hard and this past week has been extremely hard. Right after Hannah passed away I saw other baby loss moms post how hard it was to cope as they approached their babys due date. In the beginning I didn’t quite understand it. Would April 19th, 2014 really be that huge and painful for me? Then it hit me, Hannah was supposed be an Easter baby. She was supposed to be a spring baby. She was supposed to be here. Everything was supposed to be fine. I was supposed to garden with her by my side both of us enjoying the fresh air. I was supposed to take her to the beach and dress her in an adorable baby swimsuit. I was supposed to be figuring out how to work on my bothers food cart with Hannah here. We were supposed to take her to Disney World for Halloween. She was supposed to celebrate Thanksgiving and Christmas with her entire family. Hannah was supposed to be here the rest of my life. My life was supposed to change forever because she was supposed to be born alive and healthy. Instead my life has changed forever because she passed away too soon. It’s hard and so painful. I feel at many times that I am back at the very beginning of my grief. It’s so fresh and raw. I feel like I’m losing her all over again. I’ve been on such an emotional rollercoaster. 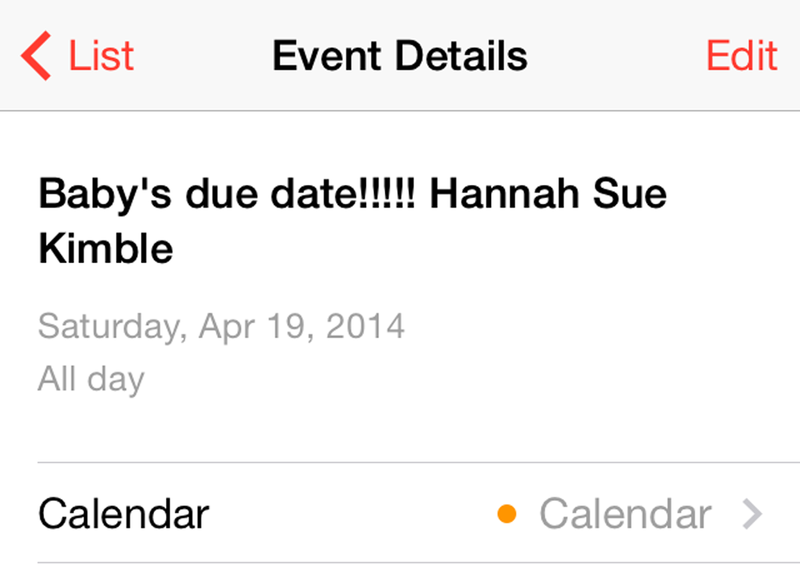 I wanted to remember Hannah on her due date. I couldn’t just let it pass us by. Jason and I decided to do a pink and white balloon release with notes of love in the shape of a butterfly. I just love that idea, especially because the butterfly is the symbol for Turner Syndrome and that’s what Hannah had. The butterfly represents beauty, strength, miracles, and hope. Even though Hannah lost her life due to Turner Syndrome she was still our miracle. She was beautiful and strong. She has given us hope that we can help others in this baby loss journey. Jason instinctually knew Hannah was a girl from the beginning and we were going to shower her in pink. Pink is her color just like her mommy. Pink represents power and healing based on scripture. White represents purity, glory, triumph, light, holiness, and righteousness based on scripture. Flowers will also be taken to her grave. The flowers will be picked out mostly by her Daddy. He always buys us each a bouquet on the 23rd of every month and now April 19th of every year. Taking flowers to her grave shows that she is loved, missed, and remembered. We will have dinner with our family and friends to honor and continue to celebrated Hannah’s life and enjoy fellowship with one another. I decided I wanted to have Easter cupcakes at the end of dinner, because Hannah was supposed to be our Easter baby. It’s extra special to me because every so many years my birthday is around Easter. I always felt that there was an extra connection and that meant a lot to me. It doesn’t matter if others understand or not. We will just have family and a few close friends joining us. We want this to be an intimate gathering because it’s so personal. We will also have a photographer friend capture the celebration on video and in pictures. It’s important to me to have these to look back on. I know Hannah is safe in the arms of Jesus, but we need to do this for us and to celebrate her life. She deserves to be celebrated and remembered. This does mark a turning point in our journey, because she was suppose to be here and she’s not. Even though it’s painful and sad we want this day to be marked and filled with love. Hannah is a sweet child of God and she knew that. Born two days before Christmas, the birth of Jesus, and she was due the day before Easter, when Jesus rose from death.